& we'll post it on this page! “I think it’s amazing what Deb and Jan have done,” says [Bob] Bottom. and this is one of the finer achievements of Lingering Doubts. 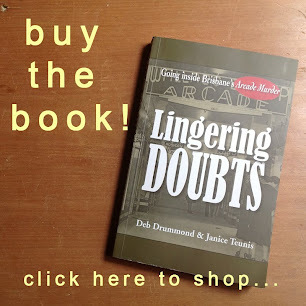 Having read Lingering Doubts I have much admiration for author's, Deb and Janice's meticulous research. They have delved into all aspects of their grandfather's murder case and have dug-up evidence not presented at his trial which could have proved his innocence, but which police ignored at the time. Perhaps if Reg's granddaughters had been around at the time of his arrest he would never have been implicated as most of the police evidence (the author's have collated) point to it as being circumstantial. I found Lingering Doubts to be a most interesting and well-documented read. I want to let you know that I have just finished your book & thoroughly enjoyed it as I kept wanting to know your final outcome on the matter. All I can say is, what a terrible injustice & although I didn't know your grandfather, I believe he was innocent & if nobody was ever rightly charged, the Police were the guilty ones. Congratulations to Janice & yourself for bringing so much to the public notice of just how much crime there is in our police force which I guess we have always been aware of but in those days, I think it was worse because of the lack of being able to check & testing of vital evidence. What a terrible time your Dad & the family must have gone through & to carry this burden throughout their lives. Hopefully through your book something may come to light but I guess, most people of that era have deceased so will never know. 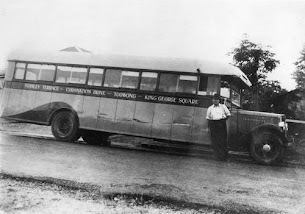 Thank you for your descriptions of Brisbane, places that I remember & to think some of them are still standing, I would love to visit if ever in Brisbane. Anyway, thank you for a great read especially knowing Ian. Also, the amount of evidence you uncovered, you did better than the Police. Re new evidence - what a terrible thing to learn of the amateur acting class which could have changed the scenario quite considerably had they followed it up as it should have been but I guess, it was just one of many things that should have been investigated further.I just hope that Ian can come to terms with what happened now that all this has come to light, a terrible burden to have to carry throughout ones life..
My goodness! An amazing review from Melbourne journalist and true crime author, Emily Webb. Thank you so much Emily. 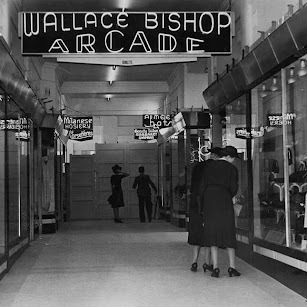 Lingering Doubts, going inside Brisbane's Arcade murder provides compelling evidence for the modus operandi of unscrupulous police in mid-20th century Queensland. What they did in those days was identify a suspect through circumstances and then try to fit the evidence to their suspicions. This led to false conclusions and to the obfuscation of the real facts. Cheryl is a writer, teacher and journalist who has won several awards for her fiction novels and has had a film based on one of her non-fictions, an account of the Westbrook Boys’ Reformatory. Cheryl has an MPhil in Creative Writing from UQ. Cheryl is also co-convenor of the popular Sandcliffe Writers Festival. Thank you so much Sue we forwarded your words to both Ian and Val. Yes, let's hope one day the truth comes out. It was with some scepticism I started this book, much as I found the subject fascinating and setting familiar, having been brought up in Brisbane in the 1950s and 60s. 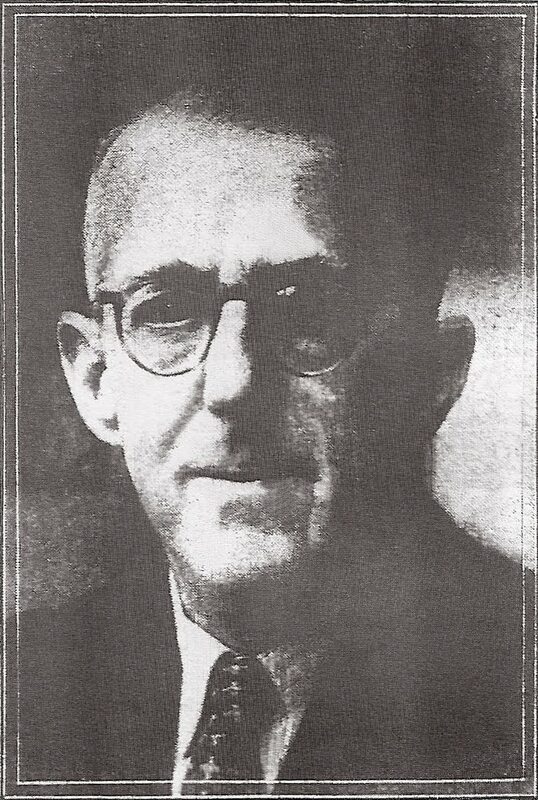 I was holding it at arm’s length because I thought a story written by the main protagonist’s relatives would naturally seek to exonerate him and recalibrate the public perception of a man, tried and convicted for a shocking murder of a young woman, Bronia Armstrong, in Brisbane’s city heart in 1947. But as I read further into the narrative, I was stunned and overcome by a great sense of pity and sadness for a family so brutalised by the justice system and media of the day, it angered and shocked me to the core. 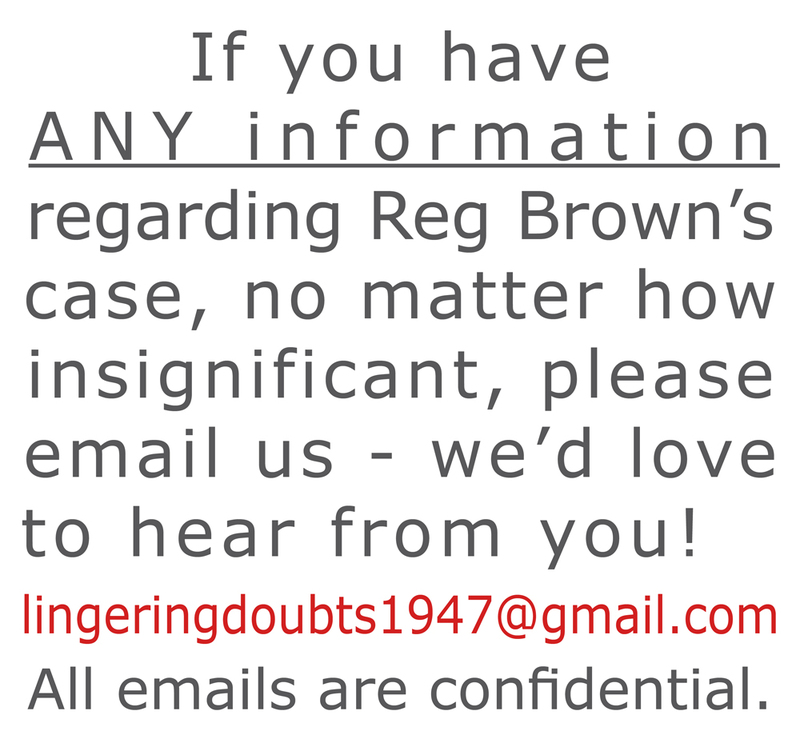 Not only do I think it highly unlikely the convicted Reginald Wingfield Spence Brown had anything to do with the killing, but it’s also likely his death just days after being sentenced to life imprisonment in Boggo Road jail, was also not suicide as was ruled. The police sought and got a fast arrest and neat wrap up and that was all that mattered to them and the courts were both too naive to counteract or complicit in the dire proceedings. Even dispassionately weighing up the circumstances of the killing, did it not seem absurd to most people at the time that the convicted, Reginald Brown, would attack his beautiful young employee in broad daylight in his workplace and coolly remain within metres of her lifeless body, making phone calls and calmly conducting his business in the minutes and hours thereafter? Was not a man of such impeccable character, reliable, trustworthy, respected, moral and kind, deserving of even a smidgeon of doubt and the means to fully defend himself in the face of repeated set-ups, hidden or lost evidence, witness anomalies, influences, lies and trickery? He was never allowed out of custody to see his family again after being charged. Even without the hindsight knowledge we have now of the insidious corruption of the late sub-Inspector ( later Police Commissioner) Frank Bischof, the ambushing and denial of natural justice to Reginald Brown reads like a far-fetched melodramatic script. Yet it is the factual, punctilious and heartbreaking record of the systematic failure of the crime investigation and courts. It cost Reginald Brown his life and his family peace and joy thereafter. This story has been gathered over nearly 10 years and told with a dedication driven by love, hurt and pride by Reginald Brown’s two granddaughters, Deb Drummond and Janice Teunis, who were born after he died and never knew him. They knew only a yawning gap opened up in the lives of their parents, Reg Brown’s children, who were young adults when he died, and a hole filled with pain and shame that took them decades to talk about. It’s a gripping read even if you have no connection to the time, people or place of the murder. 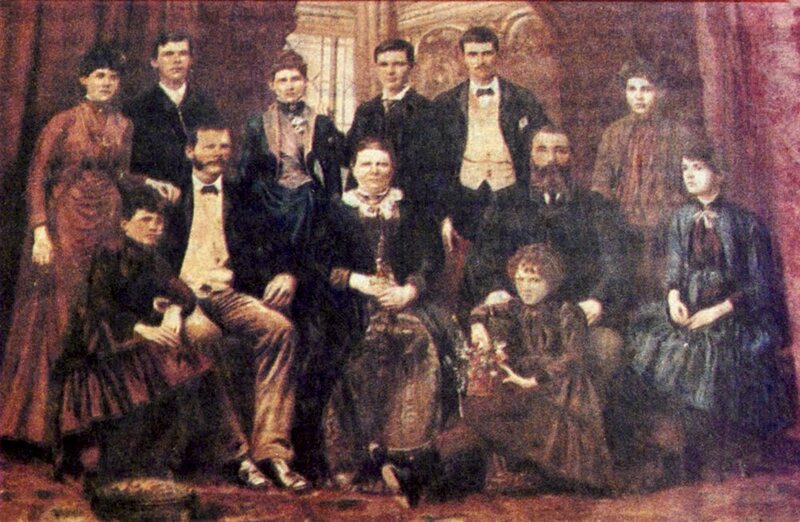 It’s more chilling if you consider that there but for the Grace of God went many of our relatives living in the fool’s paradise of Brisbane’s corrupt past. We are proud to publish your review. Jim was a neighbour of the Brown family in Ryan's Road, St Lucia. He and wife Mavis have been amazingly supportive. To find out at mature age that your granddad was a convicted murderer would be a shock; then to realise that the shame and disappointment involved, impeded an accurate family understanding of the events comprising the story would prove very frustrating.